GENNARO FAVAI visioni e orizzonti 1879-1958. 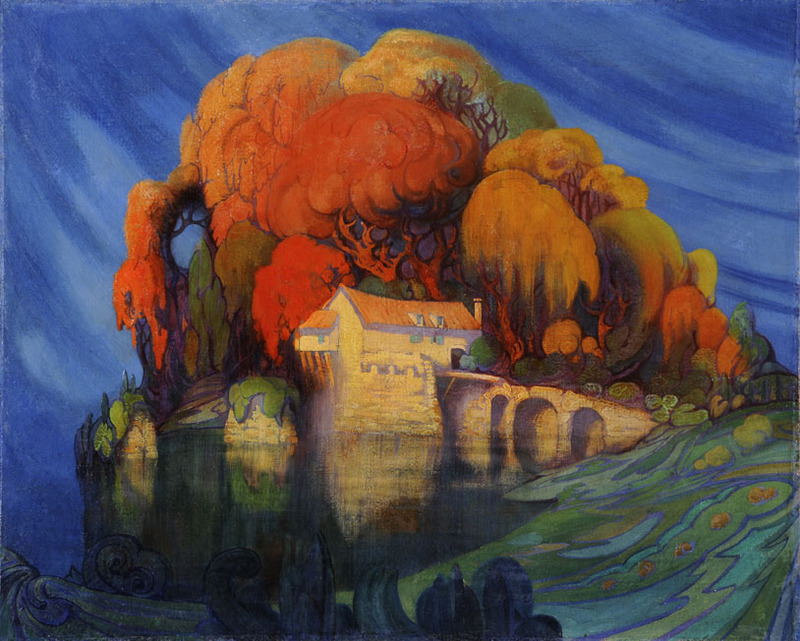 A major retrospective exhibition that aims to discover, trace, and document, through more than 200 works – including paintings, drawings, watercolors and etchings – the entire artistic itinerary of Gennaro Favai (Venice 1879-1958), formed in the Venetian Symbolist environment, friend among others of Mario De Maria and Mariano Fortuny, who was able to move with equal ease between Venice, the vibrant cosmopolitan milieu of Capri, and the great cultural capitals of the time. Staged at the second floor of Ca’ Pesaro, the exhibition is chronologically divided into three main groups: the first phase of Venetian views, composed of decadent accents and nightlife; the core, represented by the “Mediterranean trip” between Taormina, Syracuse, Capri and Algiers (between the 1910s and 1930s), with the creation of a new morphology of the landscape characterized by intense colors and strong chiaroscuro contrasts, typical of the Mediterranean light; and finally the “bird’s eye view “of a transparent and visionary Venice that characterizes the last period. Completing the itinerary a section isdevoted to the relationship with some of his contemporary artists – Modigliani, Medardo Rosso and Raoul Dufy – of whom are exposed portraits and caricatures dedicated to the Venetian, and a selection of self-portraits and still lifes made throughout the course of his artistic career, in a reconstruction of his studio. Promoted by the Fondazione Musei Civici di Venezia, with support from the Veneto Region, curated by Giovanni Soccol, Elisa Prete, and Cristiano Sant, this exhibition opens a new path of study, valorization and discovery of the artists associated with the history of Ca’ Pesaro and the city.